An exclusive destination wedding venue in Cancun that offers seclusion and high-end luxury situated on an exclusive part of the Yucatan peninsula, overlooking stunning white sand beaches away from the maddening crowds, the Nizuc Resort and Spa Hotel may be the perfect wedding venue for your elegant destination wedding in Cancun! Combining a fantastic location for a beach wedding in Mexico with unprecedented luxury, it is no wonder this exceptional hotel has an accolade of prestigious international awards. 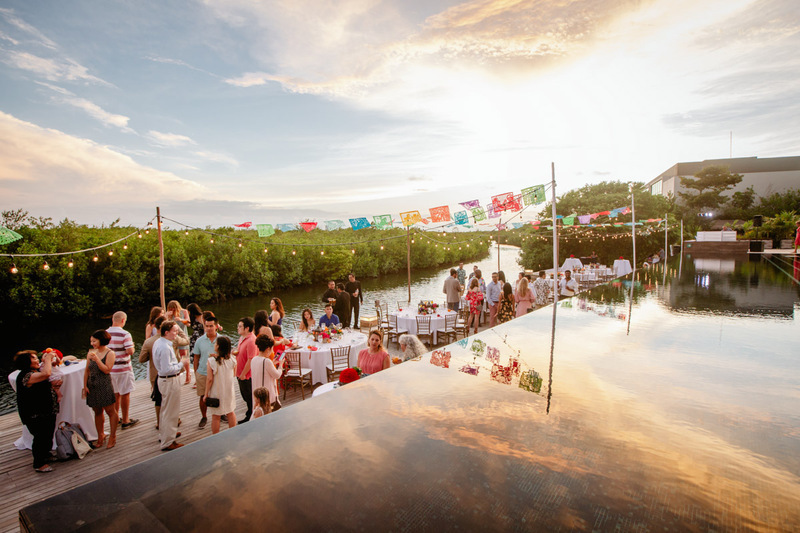 If you and your wedding guests are flying from abroad, you´ll likely appreciate the fact that the Nizuc is only a swift 15-minute drive from Cancun International Airport. Meaning as soon as you arrive, you can put your feet up next to one of the hotels swimming pools, or make the most of the relaxing Nizuc Spa by ESPA, the first of its kind in the Mexican Caribbean. The Nizuc Resort and Spa Hotel is perfectly located on Punta Nizuc, the only place located in Cancun where you can sit back and sip cocktails from one of the elegant hotel bars whilst admiring a romantic sunset. 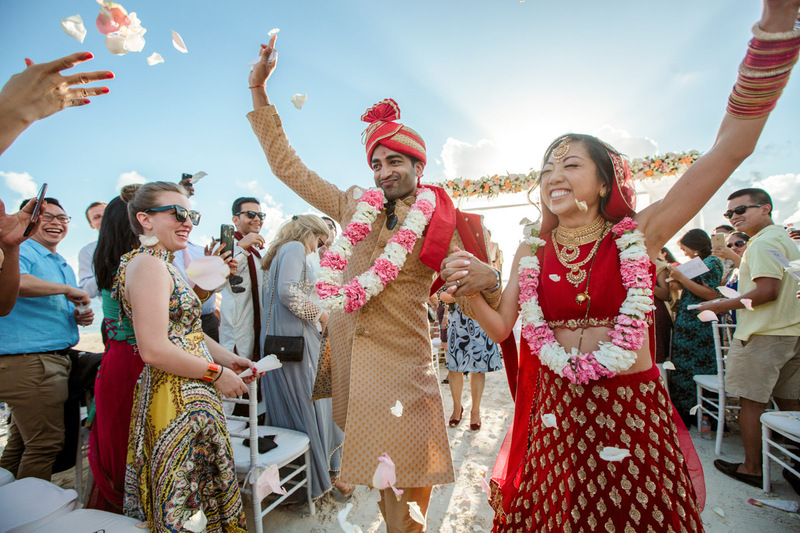 Boasting 274 suave rooms for your guests, 6 exquisite restaurants, 3 swimming pools, white powdery beaches, a world-class reef thriving with marine life and…an 8,500 square foot events centre with outdoor space for you and your wedding guests to enjoy. 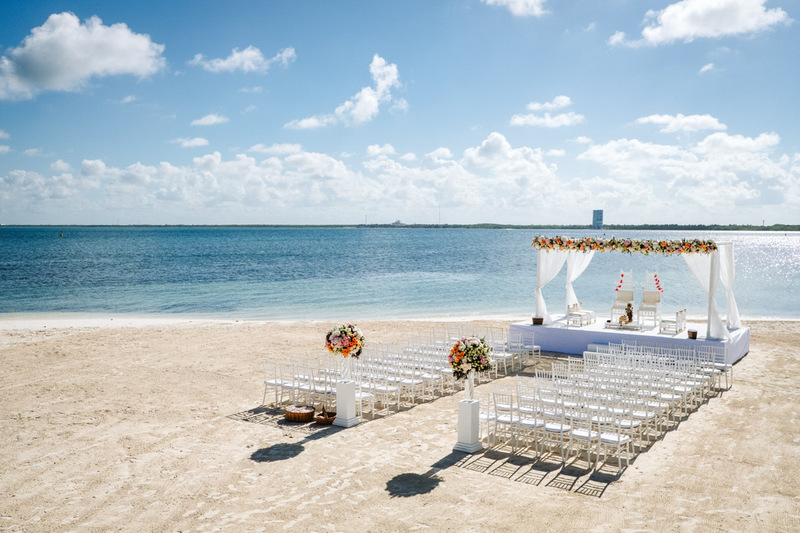 The Nizuc truly is an impeccable venue for a destination wedding in Cancun. 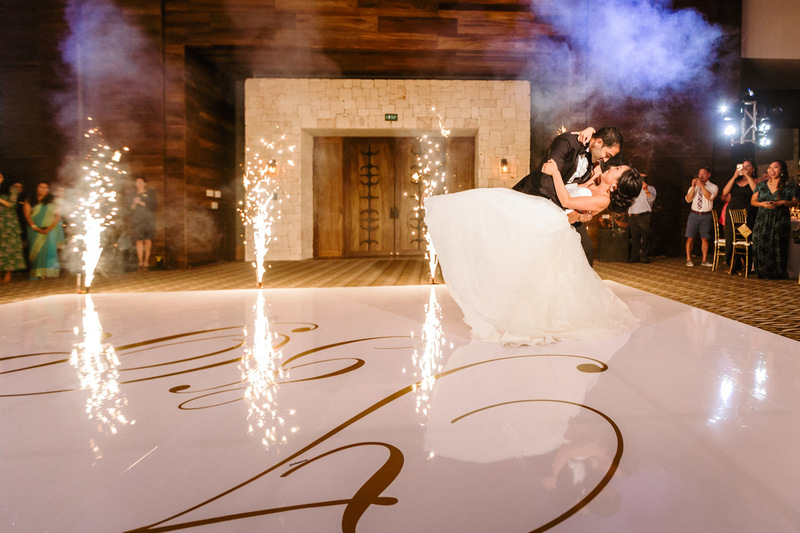 The Nizuc Resort and Spa is a Cancun wedding photographers Mecca. 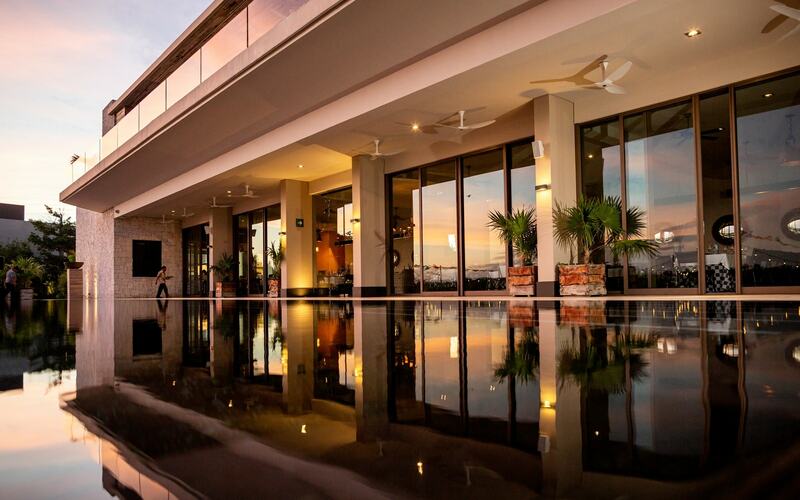 Due to its stylish Mayan design and architecture, the lavish water features and infinity pools throughout the resort and bedrooms, and the abundance of ambient light and the way it permeates throughout the interior of the property. The bedrooms at the Nizuc are extensive in size, which is ideal for any bride who wants to share the getting ready moments of her wedding day with her bridesmaids or family, with a few glasses of bubbly! If you are considering the Nizuc as your wedding venue in Cancun, it would certainly be wise to ensure your Cancun wedding photographer complements your wedding day photos with some of the beautiful water features or infinity pools the resort has to offer. 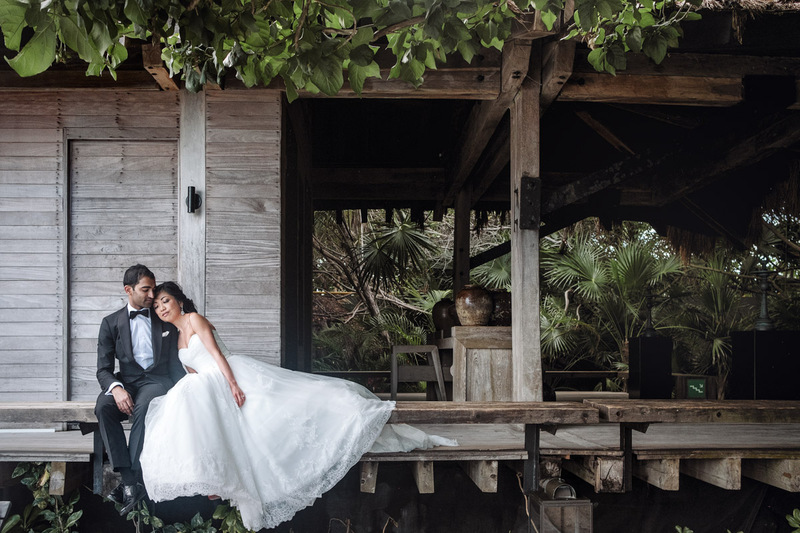 With the Nizuc as your wedding venue of your choice, you will have access to the entire property and boundless limitations with your chosen wedding photographer, which will no doubt result in some awesome wedding photos! If you are having a First Look at the Nizuc. Your wedding photographer will more than likely be able to choose a picture-perfect area that complements you both best, although if there is an area you are really keen on or an idea you would like to fulfil, I would advise letting your wedding photographer know prior to your wedding day. So now we´ve come to the most important part of the day, the part that you, your fiancée and all your wedding guests have been waiting for…the wedding ceremony! The gleaming pristine white sands and the calm aquamarine sea that inspires peace, tranquillity and love. 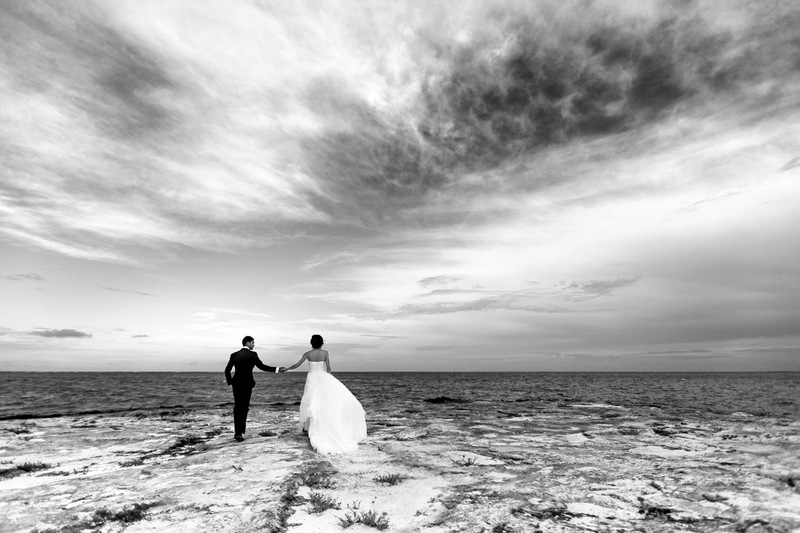 It is one of my favourite locations in Cancun and the Riviera Maya to shoot destination weddings. 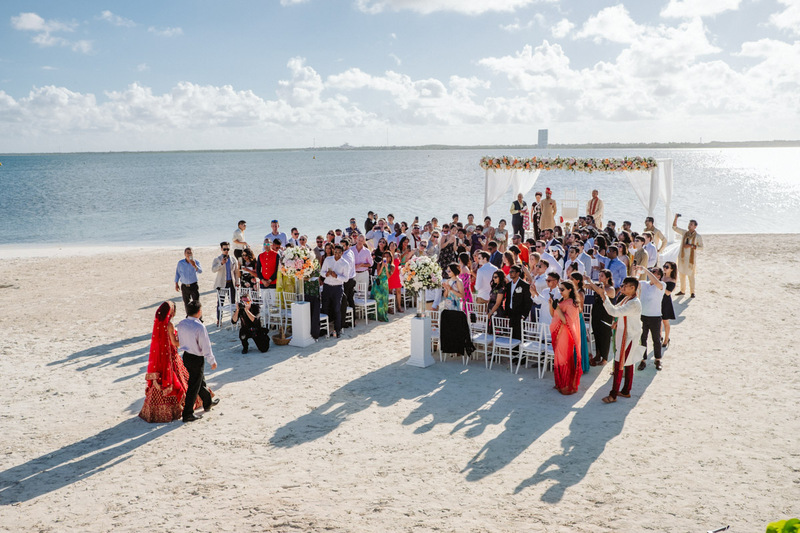 Part of the beauty of the Nizuc in Cancun is that you can host your ceremony in one of the multiple locations here; on the beach or on one of the picturesque Japanese terraces with unspoilt ocean views or the small and intimate pier. The choice is yours, and obviously depending on how many guests you are expecting at your wedding, be it a small intimate elopement or a large lavish wedding. It is recommended to provide your wedding guests with fans to keep them cool during the ceremony, as that sun can get pretty toasty! Depending on how many guests you have at your wedding and where your wedding ceremony takes place, it is now time for your wedding and group photos. Speaking from experience as a Cancun Wedding Photographer and having personally shot weddings at the Nizuc, the beach and terrace views during wedding ceremonies here provides an awe-inspiring back drop to any destination wedding. Where do I start? I may be a professional wedding photographer in Cancun and the Riviera Maya, but shooting weddings at the Nizuc for me…is not a job, it’s an absolute passion! The hotel lobby´s beautiful open architecture and generous space runs parallel to the picturesque landscaped Japanese gardens and provides a great location for many beautiful photos of the bride and groom here, due to its size, the perfect ambient lighting and the hotels take on modern Mayan design. This long but alluring pier at one extreme of the Nizuc Resort will give you both a beautiful feeling of unity, which is what you both deserve having just been married in such an affluent and amicable venue. This rustic-chic wooden pier offers plenty of photo opportunities from the water or from up on the pier with the beautiful turquoise sea skirting around you, and the amorous aura it conveys! Adjoined to the pier, the reef beach at the Nizuc is a great place to further complement your wedding collection with a mixture blend of glorious beach, turquoise seas and just the two of you….are you excited yet? 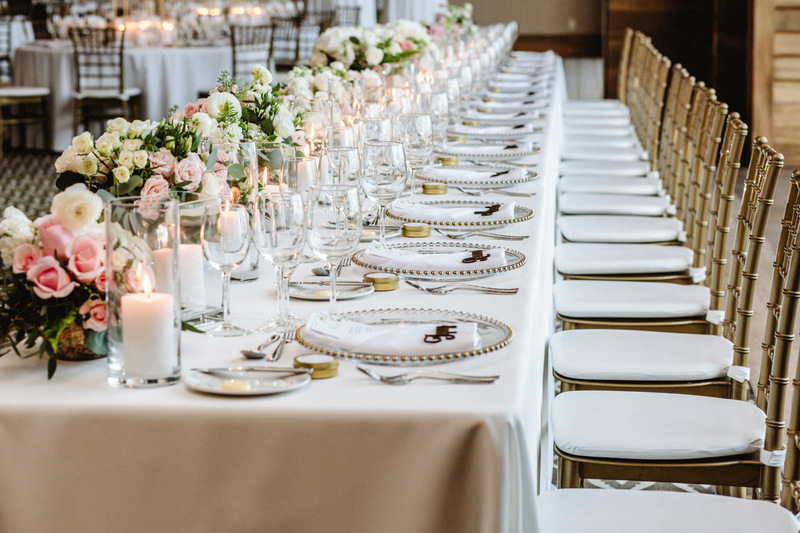 The size of your wedding will determine where you celebrate your wedding reception with guests. Smaller and more intimate destination weddings at the Nizuc tend to be hosted on one of the sophisticated terraces with stunning views. 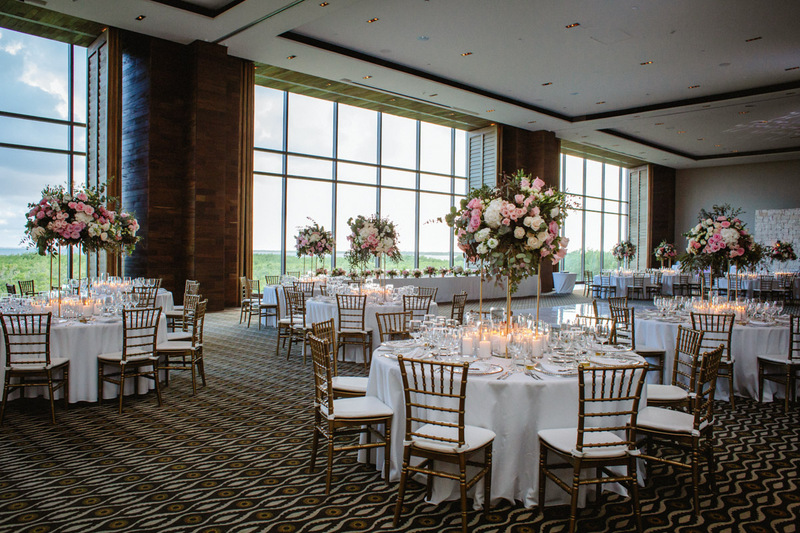 Larger weddings will generally be hosted in the Sian-Kaan Ballroom at the Nizuc, a fantastic and large event room with high ceilings that still maintains the sophisticated and stylish design of the rest of the hotel. 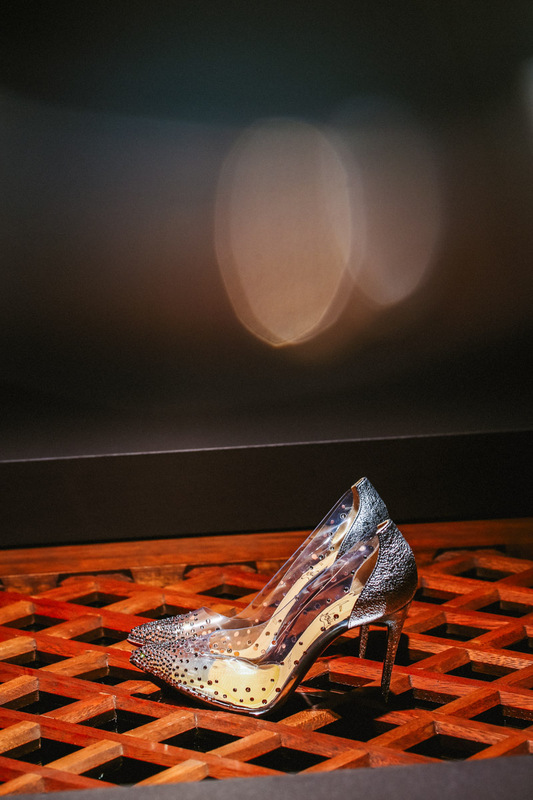 Due to the size of the resort, getting around on foot can be a little tricky! 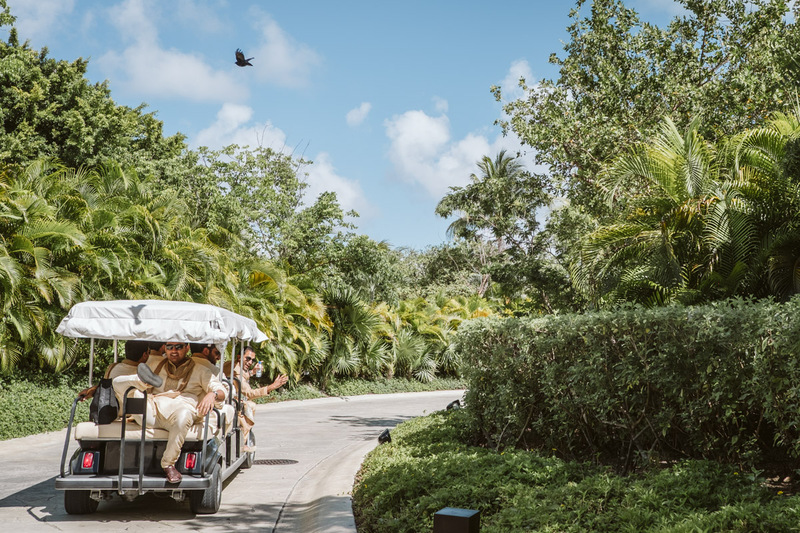 However, the resort has a consistent supply of golf carts, complete with driver, to take the bride & groom and their wedding guests from one area of the resort to another. The Nizuc is a gem as far as transportation is concerned. It is a 15-minute ride away from Cancun International Airport, where most airlines come from all over the world. Whilst any of the authorized airport taxis can take you to the resort, the Nizuc has its own branded transport that can pick you up from the airport and/or drop you off at any other location should you wish. If you are considering making a weekend of your destination wedding at the Nizuc Resort and Spa, why not combine it with a rehearsal dinner with your wedding guests on the Friday night? The restaurants provide world class cuisine (Yesss!!) and a special a la carte rehearsal dinner menu that will leave your guests blown away by the pioneered dishes. The elegantly designed Nizuc is sprawled across 29 acres of sun-drenched pristine white sandy beaches with mangrove lined shores, and a world class reef with fantastic snorkelling. Unsurprisingly, it was a Mexican presidential retreat for many years prior to becoming a hotel and resort. There are endless activities for your wedding guests to take part in, prior to or post-wedding, or simply just lounge around one of the 3 swimming pools! 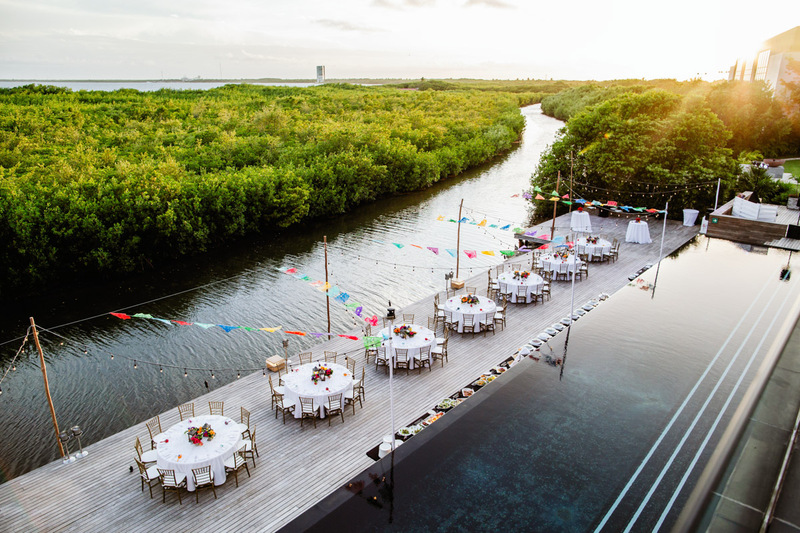 I could go on…but I think you need to have a site visit here yourself to really appreciate the Nizuc as a wedding venue, with all it has to offer! 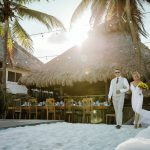 From a boho wedding that embraces the natural environment of the resort to a classy and sophisticated wedding that wallows in fine luxury, the Nizuc Resort and Spa in Cancun can host the most exclusive of destination weddings. 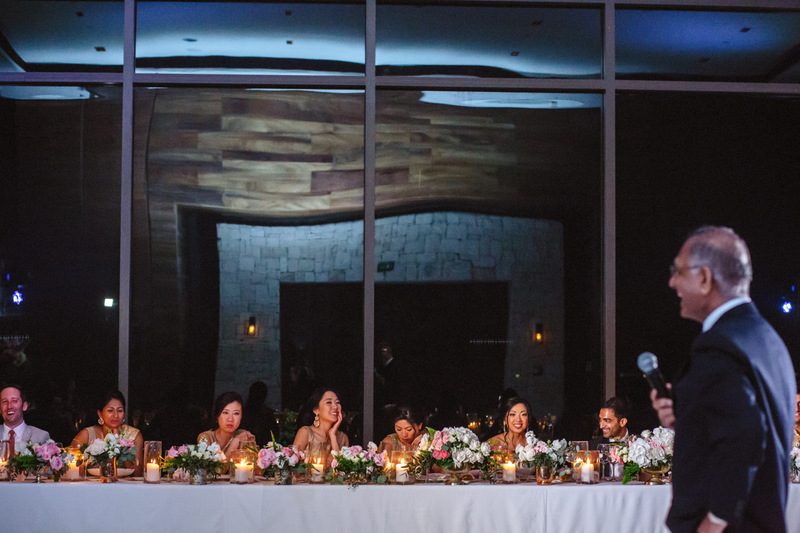 It´s contemporary architecture blended with a modern Mayan design make this a destination wedding venue to be beckoned with on a world-class scale. The bilingual and overwhelmingly professional and friendly resort staff, the tantalising a la carte approach to pioneered fine dining and stylish presentation, a palatial ESPA spa, a cocktail on the terrace of one of the bars whilst you admire the sunset form this unique location, onsite aquatic activities on a beautiful tranquil bay. The list goes on…there is endless activities for you and your wedding guests to do here! And as a professional wedding photographer in Cancun, it is amongst my favourite weddings venues to shoot destination weddings. Regardless of your culture, religious or sexual orientation, the Nizuc is a dreamy wedding venue amassed in fine luxury, style and a serene natural coloured architecture throughout that echoes the resorts contemporary elegance. 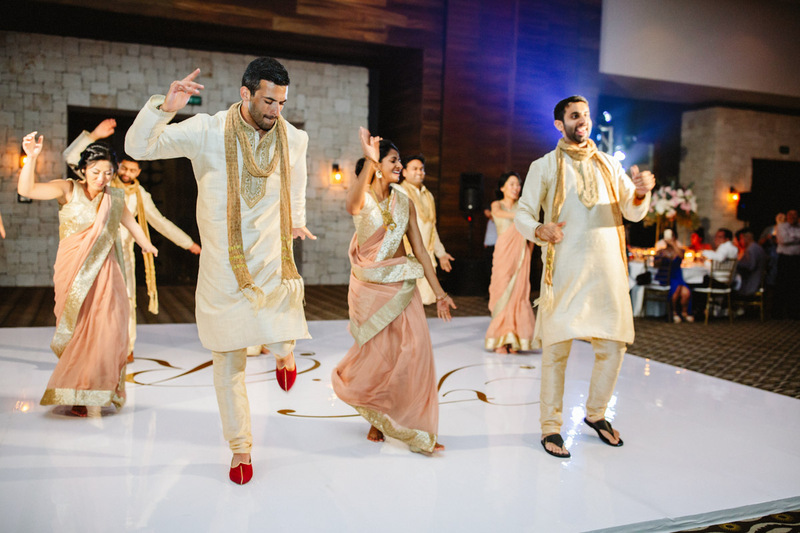 It is destination wedding venue that is second to none in its high-class surroundings! Curfew: Depends on where your wedding reception takes place, but until maximum 5am. Location: Nizuc Resort & Spa, Blvd. Kukulcan Mz 59 Lote 1-03 Km 21.26, Nizuc, 77500 Cancún, Q.R. Are you looking for a professional Cancun wedding photographer for your destination wedding at the Nizuc? Get in touch for a casual chat about, and tell me more about your wedding day.